It usually sets in about the time that I hear my husband starting to snore. The house is dark and quiet. My two year old twin boys are sleeping happily in the next room. I have two more boys jumping on my bladder and kicking my rib cage. And that’s when it hits. The fear. The insecurities. The worry and anxiety: I’m about to be a mother of 4 little boys and I feel totally unprepared. This is not the post I had planned for today. I was going to talk about a passion of mine: natural and home remedies. But my heart has been battling this fear all week and I knew I couldn’t be alone. Do you ever fear motherhood? Or that next season of motherhood? Or what that next pregnancy might mean? Or how in the world you will balance it all? My mother passed away unexpectedly when my boys were 11 months old. They won’t ever remember her and my new baby boys will never meet her. This past year and a half has been a bit of an identity crises for me: trying to figure out what it means to be a good mom while grieving the loss of my own mother. My in-laws are amazing and I’m so thankful that God has placed them in my life, but it’s not the same thing as having my own mother there (even though our relationship was far from the perfect mother-daughter relationship). How am I going to juggle this all? What will my life look like with 4 little kids 2 years old and younger? How can I keep my crazy active toddlers busy while I nurse their little brothers? When will I find time to invest in my husband? When will I find the time to invest in my relationship with the Lord? How will I be able to shower, let alone find time to read God’s Word? How am I going to be able to make 3 meals day???? What does a godly mother look like anyway? Whose model of discipline should be follow? These are the quiet thoughts I have as I lie in bed unable to sleep – thankful for the forceful baby kicks that mean my little ones are healthy and strong – but also fearful for what lies ahead. I know intellectually how blessed I am. My family is healthy and growing. We have food on the table and a roof over our head. I know that’s more than many have. Dear mamas, do you ever feel this way? I know I can’t be alone in this. I know, because even though God’s Word never says “Dear mama who struggles with fear…” He DOES give us hope and encouragment for when those days are tough…for when the tears won’t stop flowing and you feel so alone in this thing called motherhood. I never really understood what a blessing children are to our lives until I read somewhere that while many times God says in His Word that having children is a blessing, he never ONCE says the same thing about money! Wow. That’s humbling to me. In those dark moments of fear, I gotta be honest, money sometimes sounds like more of a blessing (especially when struggling with financial fears). On those hard days of motherhood, it would do us well to repeat to ourselves over and over: These children given to us by God, are meant to be a blessing in our lives, and for that we are to be ever grateful. We see from Scripture that we are called to be joyful in ALL things. Did you catch that at the end? We are to be always joyful, never stop praying, and thankful in ALL circumstances…because THAT’S God’s will for us. <— It’s God’s will, even on those really tough days to be joyful and thankful. Always. I want my life to be joyful. I want to be characterized as a JOYFUL person. This doesn’t mean I’m always happy as some days of motherhood are just plain HARD. But God does give us what we need to be joyful if we just ASK him! I certainly wouldn’t call having children persecution and don’t want to liken it to have trials, and yet, even in those extreme circumstances, God calls us to have JOY. So how can I be disobedient when all He is asking is that I have Joy with my young kids? A very humbling thing to remember. I love my twin boys and wouldn’t ever trade the last two years for anything…but there are those days when my boys are breaking down and throwing a tantrum inside Target that I just feel defeated. I don’t know what the best way to deal with the current problem is. Do I need to discipline more, less, differently, etc. There are days when I have two sweet little babies who are sick, I’m sick, and we all just need to sleep but I have to change diapers and make us something to eat, etc…I think I could go on listing hard days. My point is, I’ve come to the place where I’ve realized that I have to give myself permission to not love every second of raising little ones. I read so many articles about how we need to just soak in and cherish every single moment of our little kids before they are gone and we miss it. I want to make sure that most of the time I’m listening to that advice! I don’t want to rush through the little years always looking for the next stage so that I miss out on enjoying the stage we are currently in. But some days I just yearn for when I can walk out to the car and all the kids buckle themselves in. I literally cry when I see families with older kids at the park and the parents don’t have to keep a hawk eye on their kids every.single.second. I dream of the day when I can let the kids quietly read their own books or work on their school work while I sneak in a few minutes of Bible reading. Oh, I know those seasons of motherhood will present their own unique challenges and problems and I may look back on my time with babies and toddlers and think how simple it all was. But at least I could pee alone. Or take a shower. On those bone-weary exhausting days, I think it’s okay to admit that being a mother is hard work sometimes. There are real struggles and valleys we can walk through…even when we do cherish and love our kids. But the important lesson is to not wallow in that. Do not let yourself feel sorry for yourself. Don’t let the hardship of the day make you forget that your kids ARE a blessing to you – even when you just want to curl up in a ball and cry. Repeat these truths to yourself throughout the day: God gave us these kids as a BLESSING and He will give us the means to be JOYFUL…even on those really tough days. Do you ever face these hard days? 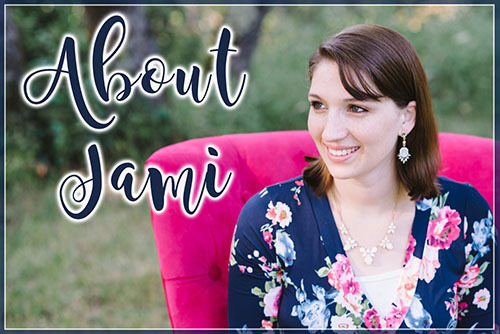 While my first steps in battling the fears of motherhood have to be turning to God’s Word and prayer, I also find it really helpful to hear from and learn from other moms who have been there. It can be really lonely being a mom sometimes. I feel really isolated – and so I’m so thankful that God has given us the means, through the internet, to give and receive Gospel-centered encouragement to one another. THAT’S the internet and social media at it’s best! How do we find joy – real joy – within our days? As women, a lot of what we do can seem mundane and tedious. 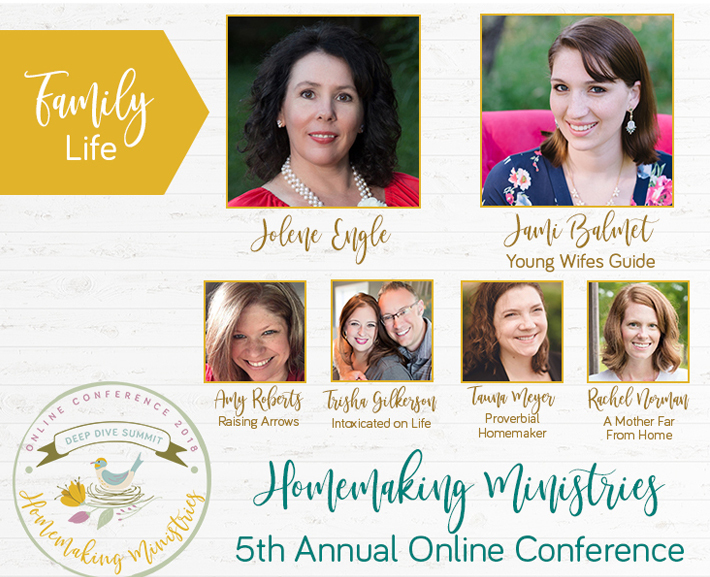 But when we view our homemaking (and our life) through the lens of the Bible, we can begin to experience real Joy, Peace, and Tranquility in our lives…all for God’s Glory. Join me for this free training: a 5 part video series that walks you through the essential habits that all Christian homemakers must form! Get instant access to this free mini eCourse here! Oh this is just what I needed today, girl I am right there with ya. I am a young mom of the most amazing lively fire cracker 18 month old daughter, after a few years of infertility she was the best blessing…but motherhood is so hard. I knew it would be hard but sometimes I just have to say it out loud, sometimes I have to be reassured it is not just me. We hardly sleep at night, last night I had maybe 1 broken hour of sleep by 4am and was going a little out of my mind. She is teething, having diarrhea, throwing tantrums left and right, into absolutely everything, every drawer or cupboard, yes I have locks but she is just tall enough to get the ones without now…she can reach the coffee tables and throws everything on the ground. She is my own personal tornado and I cannot keep up. Sometimes I feel like I have nothing left to give I am so weary, even though I have amazing help from my family its like I can never catch up. My best friends daughter is the same age and sleeps all night and sits quiet through church and mine just doesnt. It is hard not to feel like I am doing something wrong sometimes but then my daughter is so stinkin smart and sweet and she can talk so good and dance and sing and I know this high needs personality of hers will probably translate into a passionate and driven little girl. I wouldnt trade her for anything but motherhood is just so hard. I have multiple auto immune diseases too so I am not the most strong mother and I do not have the energy I should have I my age. I love being a mother, I love the purpose and joy it brings but somedays I break down and cry, somedays I feel like what have I gotten myself into and then I reset and keep going. Thankfully God gives us his strength when we run out of our own. Anyways, hugs to you, you are a great mom, thank you for sharing. I am right there with you a lot of the time. I’m always wondering what God was thinking giving me 6 kids in just over 6 years. But then I remember, He is really the One over it all and I cannot single handedly mess up my kids. I seek to teach them His ways and when I fail miserably, I’m learning to apologize and ask for forgiveness. The past couple of days have been really tough for me, but God is getting me through. We learned about Fear and Anxiety at church this week. Psalm 46 was our passage and it is a great Psalm of speaking God’s peace to our heart. “Be still and know that I am God.” Run to Him the moment that fear creeps in. And I can totally sympathise with wanting to get past the baby/toddler stage! I have been feeling that a lot lately, which is odd because I always assumed I would be someone who would love the pregnancy/newborn stage! Sometimes it is so hard to remember that there will come a time where I will look back on this time longingly. Praying for you in this time – sounds very similar to what we are going through and I empathise completely! Yes! I am pregnant with a toddler at home and feel overwhelmed at the thought of managing it all! Thank you for this post! I am trying to remind myself to take it one day at a time and to try my best not to think too far ahead because my worries are wasting my time. (Easier said than done!) And this time, we are going to ask for more help – family to bring us meals vs trying to pre-make and freeze it all myself, family and friends to visit and entertain the kids or clean for me! I am going to try to put down my hostess hat and just ask for the help I need to get us through. I hope these ideas help you too. Sure, children are a blessing, but God doesn’t say we have to do everything on our own! Oh my gosh love this! I am a mom of two and still lay awake fearing I am doing everything wrong or messing up as a mom. It is hard to have a toddler and newborn 13 months apart. How can I teach her everything when her brother needs my attention and nursing constantly? You post gave me a little hope to be better! Thank you!